I always run my swim sets past Gill the night before I coach. 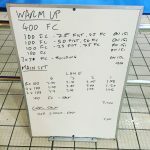 It’s a final sanity check to reassure me that they are interesting, engaging and easily understood, but sometimes I have to remind myself that giving the swimmers what they need is not necessarily the same as giving them what they most enjoy. 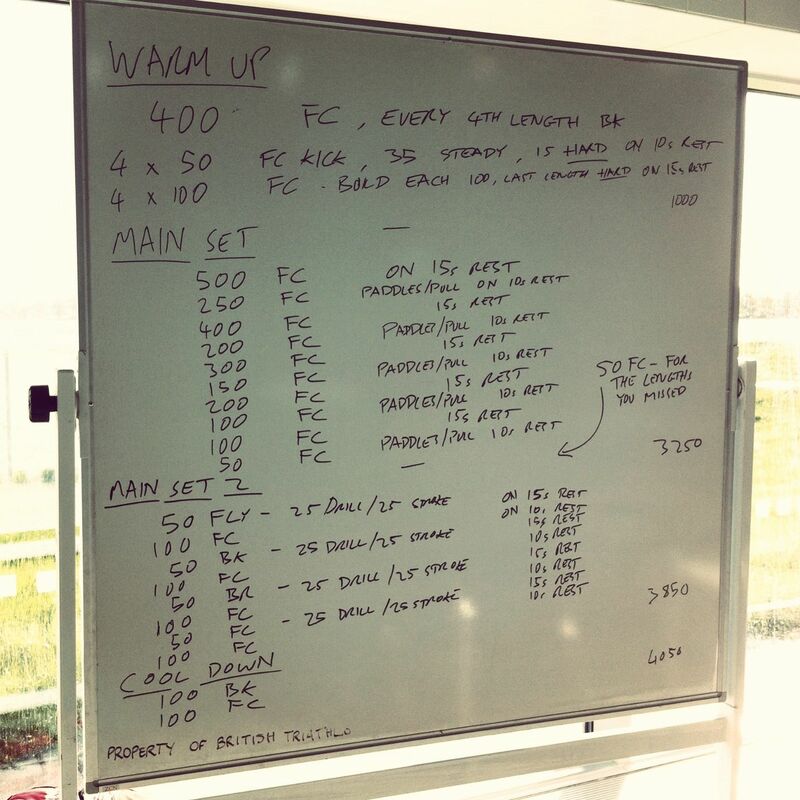 So when an athlete grumbles about long reps on a Thursday, I’ll point out it’s what they should expect from an endurance focussed session. For the most part though – and this may simply be politeness – feedback is positive. 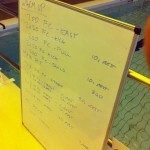 The Tuesday session is for beginners through to intermediate swimmers and covers a broad range of speeds and abilities. 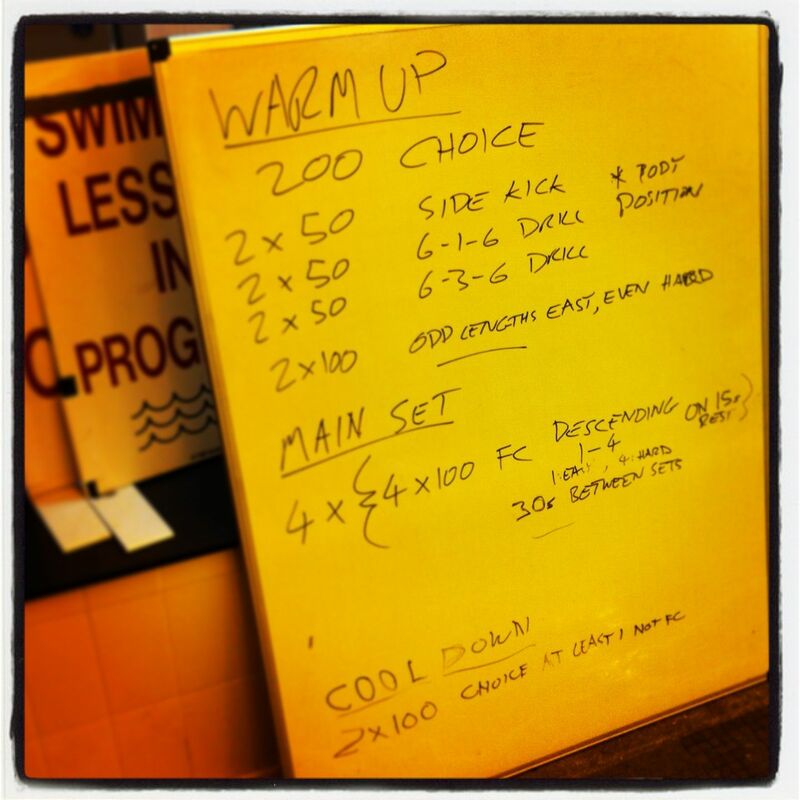 So Tuesday sets tend to go through a lot of adjustments for different lanes in the pool. 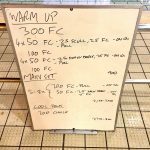 I threw in some side kicking and 6-1-6/6-3-6 drills this week as body position and rotation are common problems in this pool. The main set works a range of paces with swimmers pushing themselves hard for the last of each block of 4. Over the last couple of months the regulars have got much better at judging and maintaining appropriate paces – easy was easy and hard was hard. 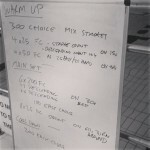 Thursday’s session usually has the luxury of two 50m lanes and on average 4 swimmers. It’s nice working with such a small group, you can be far more specific in feedback and tailoring of the session to the individuals. Not that anyone brought paddles and the second I got out my spare pair everyone had a shoulder problem! Nobody made it to the end – everyone had work to get to today and I finished up early. The second main set was there for the more advanced swimmers, but only one made it and we did a little work on her fly rather than follow the set. As usual all sets are uploaded to instagram and pinterest during the week.